In a few weeks’ time, my wife and I will be celebrating our wedding anniversary. To most people, that day is just another day, but to us, it’s a reminder of a precious gift from God, and it’s rightly something we’ll celebrate. 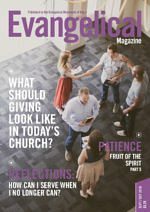 And this edition of the Evangelical Magazine is all about anniversaries — although not mine, you’ll be glad to know! Instead, we remember some significant but often overlooked events and one event that is never overlooked but often misunderstood. So Iwan Rhys Jones helps us to celebrate the 450th anniversary of the first Welsh New Testament, while John Snyder remembers the 150th anniversary of the birth of pioneering missionary, Amy Carmichael. 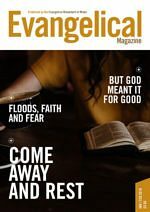 Closer to home, we also celebrate the 50th anniversary of the founding of the Welsh evangelical church in Aberystwyth, which was the first of several independent Welsh-language evangelical churches planted in the following years. We’ve also two personal reflections of apparently minor events that God used to make a big difference in individual lives. 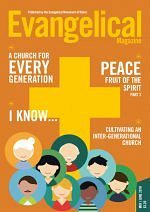 In a poignant story, Geoff Owens remembers a visit to a Romanian orphanage in the early 1990s, and God’s providence in events since then. Then, in the last of his Musings from a Deckchair, Geoff Thomas reflects on his return to Wales from the United States, just over 50 years ago. But all these are appetisers for the main anniversary we want to remember — the anniversary of Christ’s birth. 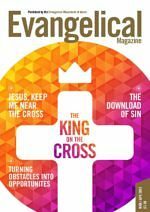 We begin by reflecting on what it was really like in first-century Bethlehem, think about Christmas around the world, and finish with two articles that will help us to make the most of Christmas this year. There’s much more besides, of course. Andrew Norbury wraps up our series on Respectable Sins by helping us to think about Selfishness, while Tom Clewer does the same with The Work of God in the Soul of Man by pointing us to Glorification. We’ve also got a bumper Update, with several reports of what the Lord was doing throughout the summer. So in this one issue, we stretch from the summer to Christmas. There can’t be many magazines that do that! 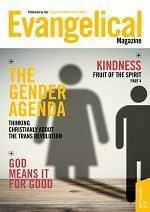 But that does illustrate what the Evangelical Magazine is all about. We want both to look back and to look forward. 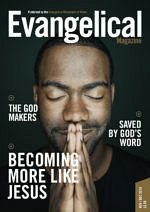 These articles aren’t simply to inform — our prayer is that they will also transform, as we reflect on what God has done and ask him to continue his work today in our lives and our churches.